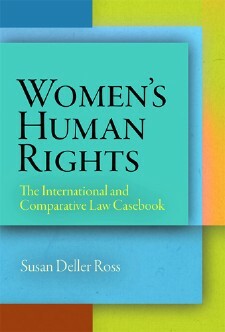 “Susan Deller Ross has provided us with an important addition to existing human rights law teaching materials with her casebook on women’s human rights. The book brings the complex array of legal, political, social, and cultural issues involved in protecting women’s human rights front and center for students and teachers of international law. The case book demonstrates that, because of their reach and their complexity, women’s human rights deserve to be studied in and of themselves not just as one segment of an international human rights course. Providing a holistic picture of the status of women in international law, the casebook offers equal doses of the legal gains we are making and how far there still is to go. . . . Ross provides the reader the most important iterations of the law, with substantial coverage of US Supreme Court jurisprudence, as well as case law from the UN and regional human rights systems. Such robust coverage provides the reader with a good sense of the gaps and the contradictions that characterize this rapidly changing field of law. . . . While the casebook does have the advantage of providing a flexible set of legal tools to students of human rights, its specific strength is to give the reader a concrete sense of the everyday violations of women’s rights in the twenty-first century. From the opening chapter’s summary of women’s status around the world, to the cases detailing horrific violations against girls and women, the reader is constantly exposed to stories of the human beings who bear the brunt of the violations. Ross asserts that the first purpose of her book is to introduce students to the realities of women’s lives and an understanding of how states deny women their most fundamental human rights and freedoms. Her second purpose is to give them the legal tools to change that reality. 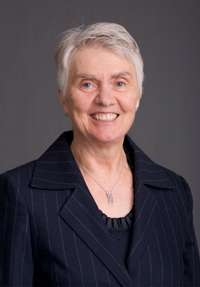 Her purposes are ably accomplished by this important undertaking which will serve to inspire and educate women’s human rights advocates for years to come.”— Barbara Frey, Book Review, Women’s Human Rights: The International and Comparative Law Casebook, 31 Human Rights Q. 267, 267-269 (2009). Women’s Human Rights studies the deprivation and violence women suffer due to discriminatory laws, religions, and customs and demonstrates how international human rights treaties can be used to develop new laws and court decisions that protect women against discrimination, subordination, and violence. The effects of customs, religions, and long-held discriminatory attitudes on women’s human rights. Recent review from Human Rights Quarterly.